Meet Neelma Kumari Bariya. She was born in a small village in Rajasthan that has only 60 families. Her father is a farmer and her mother helps around the farm and the village. Neelma has one brother who is also a student. She has done well in school and earned a position as a student at Immanuel University (IU). With the help of an IU scholarship she is able to pursue her education. She has also received a special low-interest loan to help her pay for her education at IU. An IU MBA education will change Neelma’s future and the future of her family and village. “I want to serve society and help the poor by working in a good company. 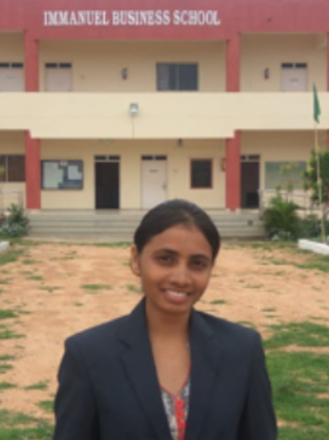 Hence, I want to pursue my MBA.” Thank you for supporting Neelma! Meet Kumari Chinuma Digal, or as her friends call her, "Babula." She has 3 siblings and grew up in a very rural village in Odisha. Her father is a farmer and her mother cares for the home. They earn a modest income. Her brothers are studying at a government school and her sister is in 7th grade. In Babula's application, she said, "I want to pursue my MBA, but I don't have [the needed] capital. The finanical condition of my family is very weak. So I request you to grant the loan facility." She has received the Immanual University scholarship and a loan with a low interest rate. She goes on to say to say that, "my future goal is to start my own business in my native place [village region] because my passion is to help poor people as much as possible. I want to develop my village." 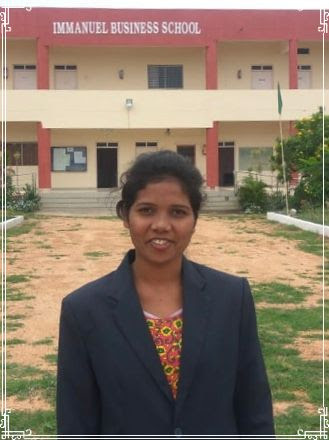 Immanuel University stands with Babula to help her realize her dream! My parents passed away when I was 7 years old. My little brother was 5. We have no medical facility in our village then or even now, and they both died of disease. I was raised by my grandparents who lived in the same village. I was a bright student and had distinction in my high school exams. My grandfather had to really work hard in the fields every day even in his old age to help to feed us. He is 85 years old now. I took the government eligibility test and qualified for a free seat in engineering and passed my course with distinction. 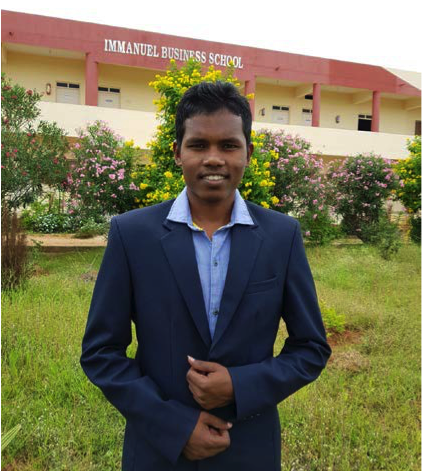 During my college days, I attended church at Jagdalpur, and learned of the MBA program at Immanuel University. Of course, I could never have afforded to do an MBA. But looking at my academic records, Bishop Lohara was kind enough to offer me a loan to pursue my dreams for an MBA. I was in the top three in my first semester and wish to secure a distinction in my final exams and make our Bishop proud for the trust he has put in me. The ambience at the campus is so good. I think I am going to cry when I have to leave the college after my MBA. Thank you for supporting us at IU. You can never know what it means to students like me. My name is Bikash, and I come from a forest village in Odisha. I love music. I used to play different instruments sitting in the jungle sometimes to the chirping of the birds. My father was a farm worker. He would take me with him to the fields but my interest would always be in playing music. I studied in a government school a few miles from our home. While in college I used to play music in meetings and social events in order to earn some money for my family. 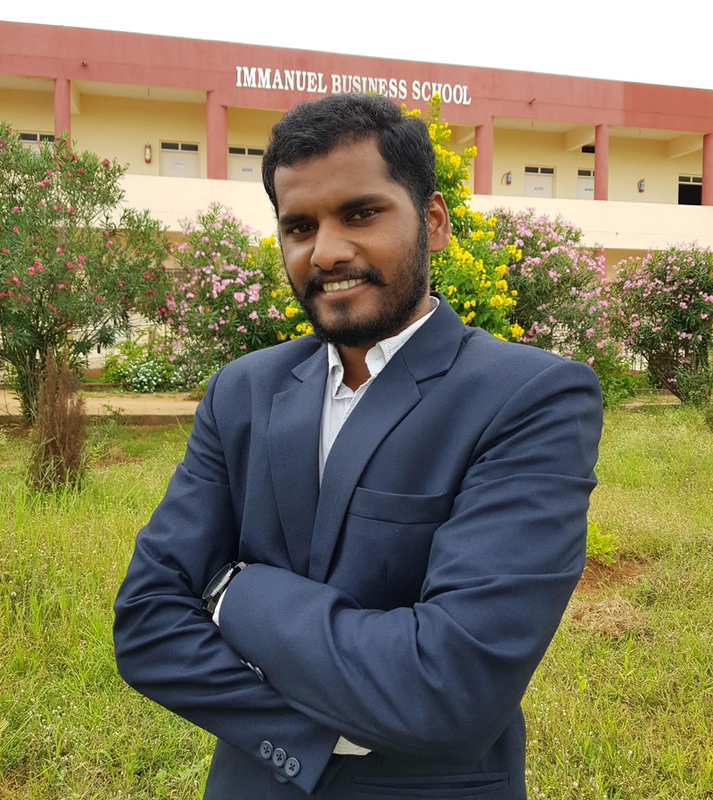 When I completed my B.A., Superintendent Prakash Naik told me about an MBA program at Immanuel University. I was very interested but knowing our financial resources, I did not take much interest. But he insisted that I should apply for a loan from I.U. and study in Hyderabad. I talked to my parents who decided to provide security for the loan with our family home. I am so happy I am at Immanuel University. I am looking forward to getting a good job when I complete the MBA and pay off the loan to get the home back for our family. I enjoy the time in the church. I am on the church choir - I play guitar and drums. Thank you for supporting students like me at I.U.